Hello friends, Mayline here to share my sparkling three-dimensional cards. 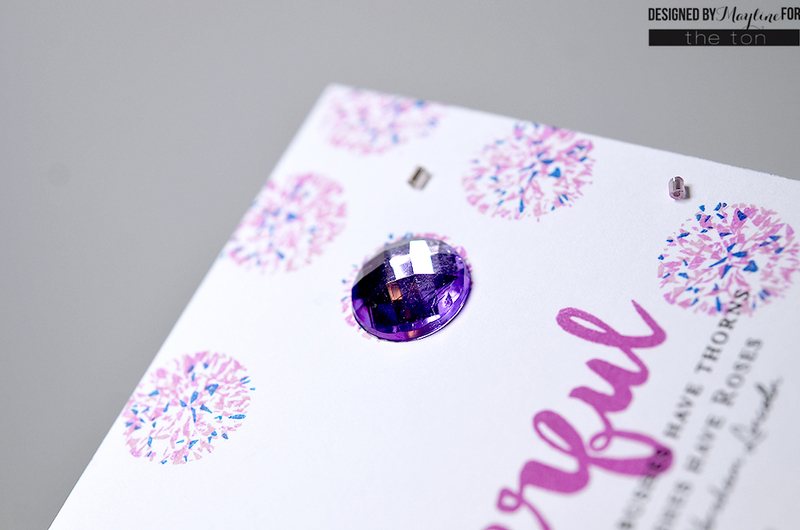 I think it’s a perfect combination to use our round gems and our Round Diamonds stamp set to make a card. 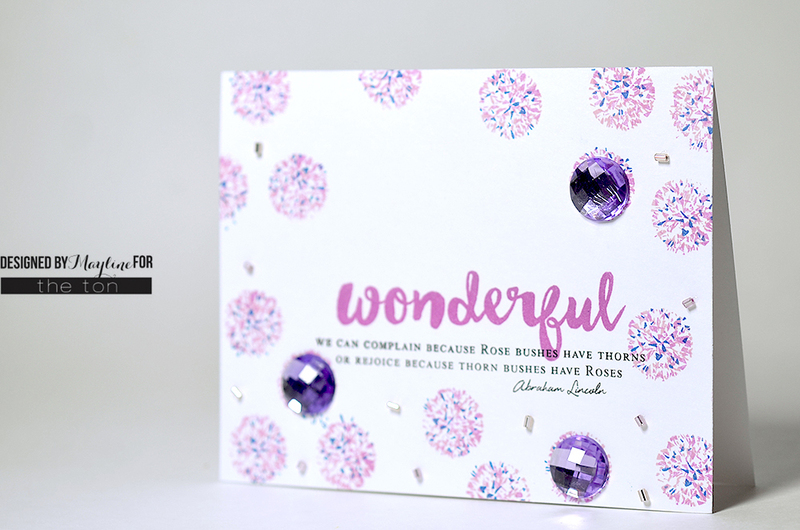 Take a look at my card – the size of the gems gems and the stamped images are exactly same! I stamped the layered round diamonds first and then adhered the round gems on some of the stamped images. 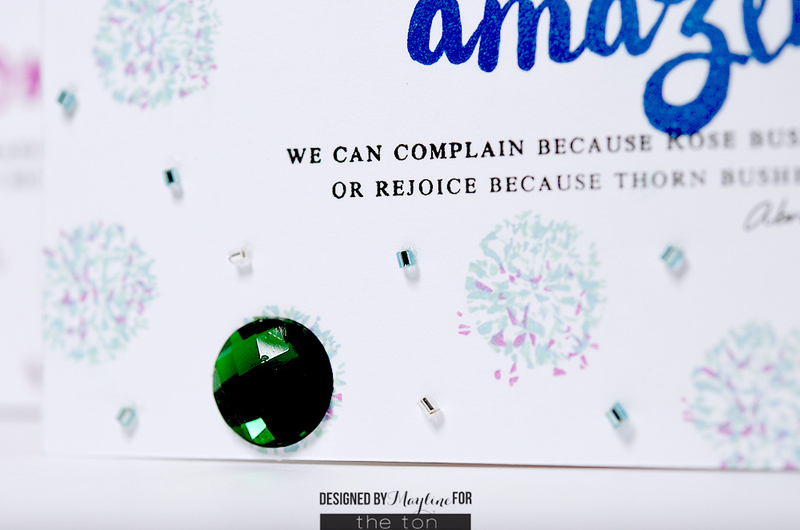 For my next card, I used some Emerald Round Gems, our Round Diamonds stamp set and our Friggin Fabulous stamp set. Then I used Mama Elephant pigment ink pads in Fresh Mint, Pacific Blue and Lollipop. For the beads, I used Goldeneye Bugle Beads and Island Blue Bugle Beads. 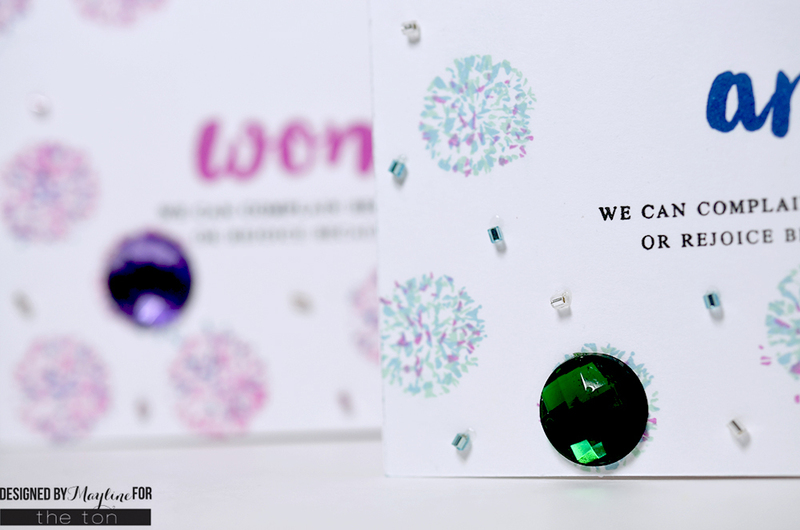 This card is gorgeous combination of beads, gems and our Round Diamonds stamp set. I hope you enjoyed my cards and thank you so much for stopping by! 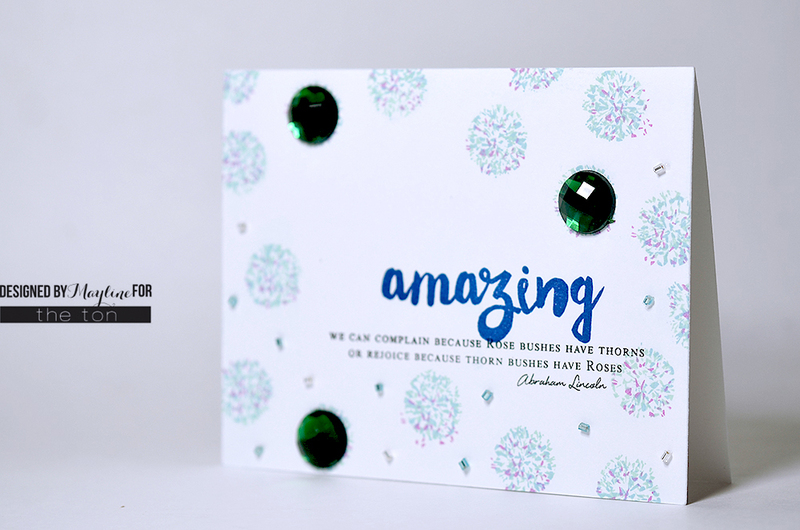 Look at the gorgeous Sparkling cards Mayline created for The Ton! Beautifully done!! Love the composition and colors!